Comes with a $20 Shutterfly credit, too. Swapping out your hard drive for a solid state drive is one of the best all-around performance upgrades you can make to a PC. If that's something you've been putting off until a good deal comes around, this could be it—Best Buy has Samsung's 512GB 850 Evo SSD for $160, or $135 if you purchase with Visa Checkout (it knocks an extra $25 off purchases of $100 or more). The Visa Checkout option is what really makes this deal stand out, though it doesn't stop there. Buyers will also receive a free download code for Watch Dogs 2 on PC and (a little less interesting) a choice between a $20 Shutterfly credit or an 8x8 photo book. Samsung has released faster SSDs since the 850 Evo, though it's no slouch for a SATA drive (check out our review). It uses 32-layer 3D V-NAND flash memory and has a 512MB cache buffer. Rated sequential read and write speeds check in at up to 540MB/s and 520MB/s, respectively. The drive also features AES 256-bit hardware encryption. Finally, it's backed by a 5-year warranty. 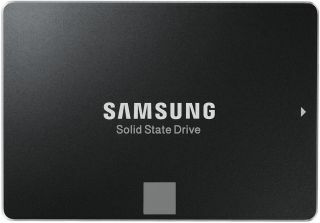 Go here to grab the Samsung 512GB 850 Evo SSD on sale with extras, and don't forget the Visa Checkout option if that's something you can utilize.